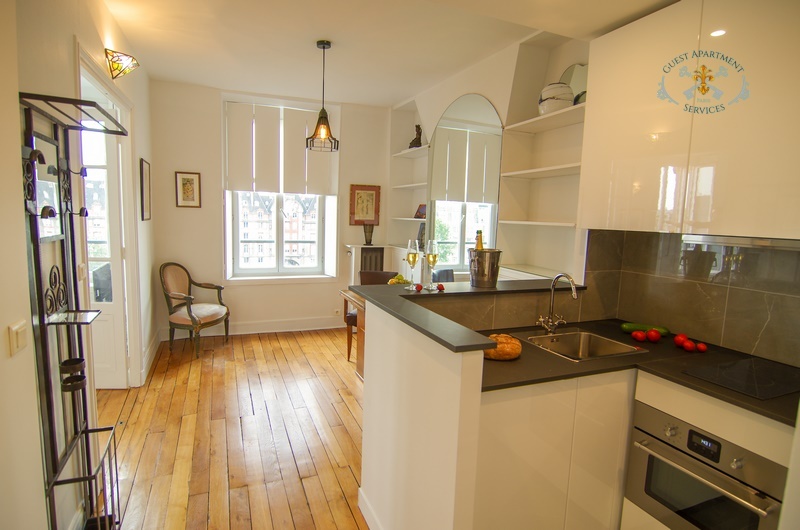 A charming one bedroom apartment in the heart of the city facing the Seine River. 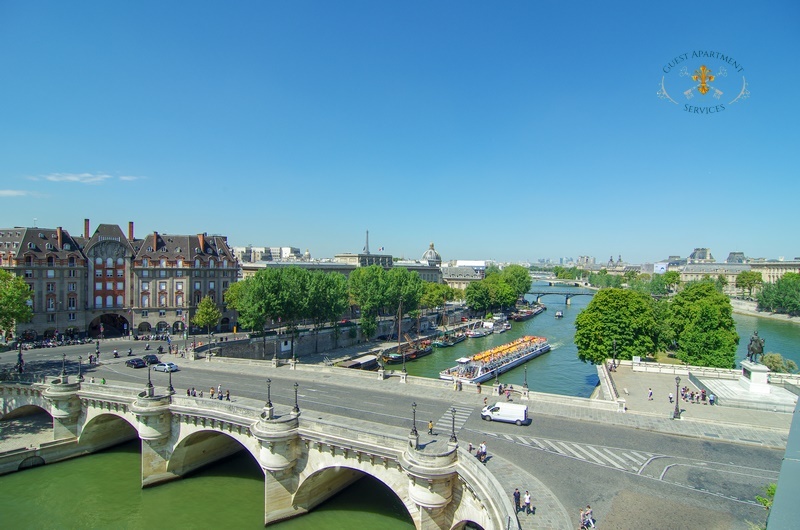 The Ile de la Cité is an island on the Seine River. 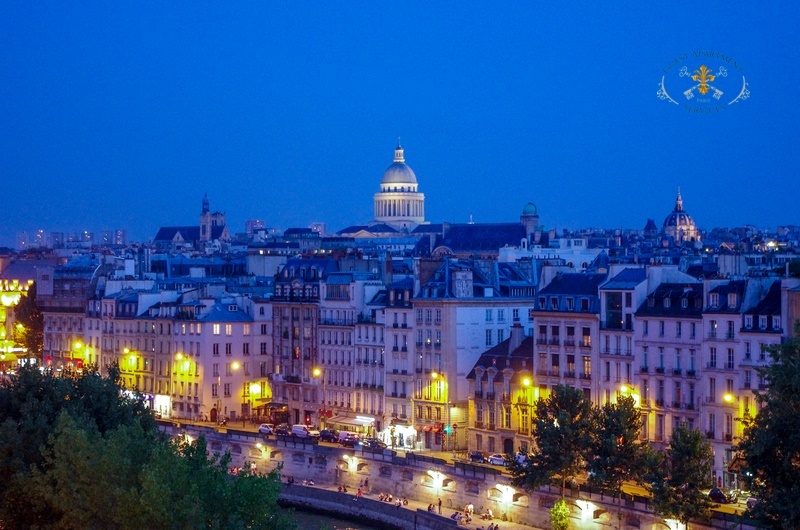 It is the location of the original village that would become centuries later the French capital: Paris. 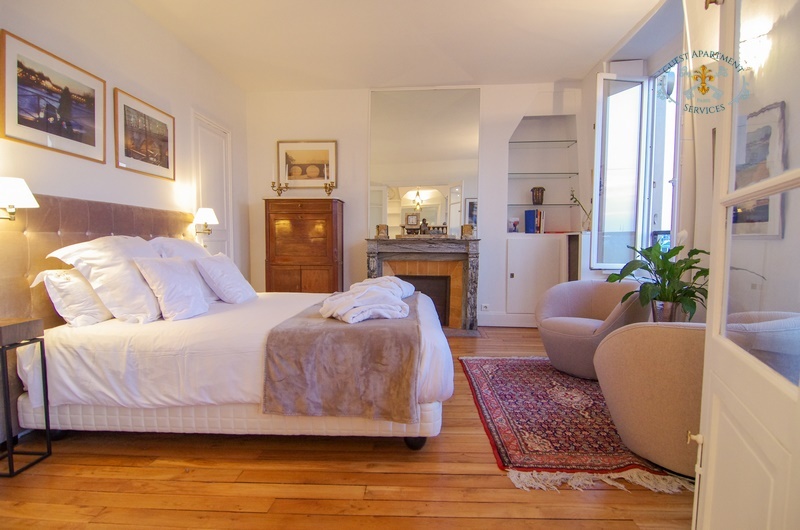 All shopping necessities and many luxuries are very close by just minutes away on the Ile Saint Louis: a pharmacy, a post office, a news agent, bakeries and pastries, the famous « Berthillon » ice creams, wine and cheese shops, grocery stores and other fine shops. Other services, traditional restaurants and brasseries, cafés, art galleries, a bank with automatic teller machines are to be found on the Ile. 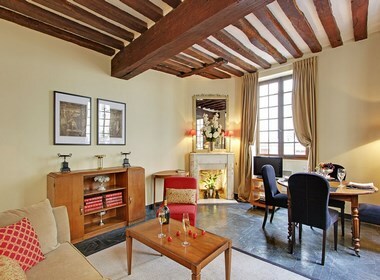 The two Iles are organized in such a way that you feel to be in a Village in the heart of Paris. • Entering inside the building, after a small flight of stairs, there is a lift that will lead you to the 5th French floor. 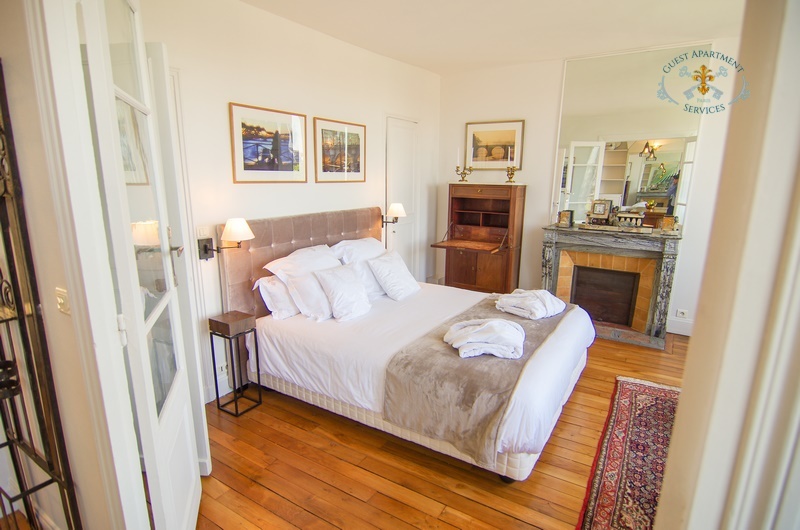 After this short trip up, you finally arrive to your Parisian “Pied à terre” offering the most stunning views on the Seine River and the Pont Neuf. 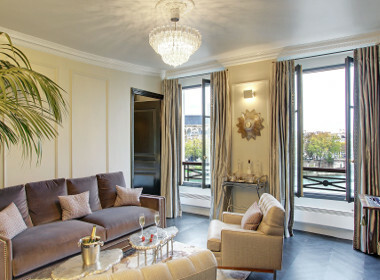 • On the right , in the entrance is the open kitchen before the dining room area, decorated with Art Deco inspiration. 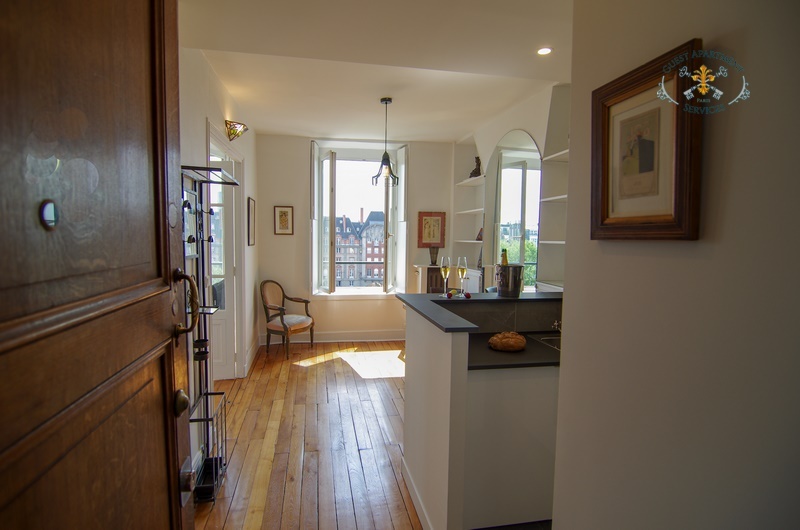 The parquet floors in the main rooms, the marble chimney and the three windows opened direct on the Seine River and the left Bank give a special “cachet” to this newly renovated apartment. 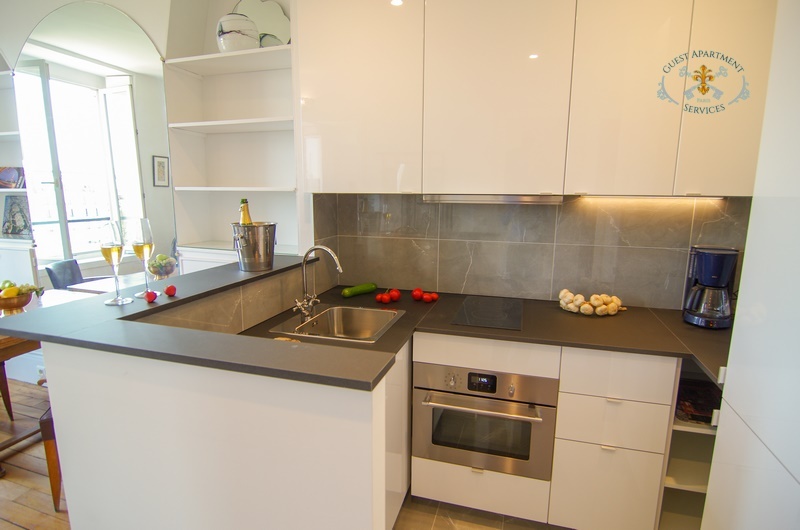 • The fully equipped kitchen provides all the necessary convenience and equipment you may need during your stay to prepare fine meals: a vitro-ceramic stove top, a refrigerator with a separate section for freezer, microwave & oven, coffeemaker, toaster & a washer. Glassware, cutlery, dishes and utensil are stored in the numerous and different sized cabinets. • The kitchen open to the dining room area. 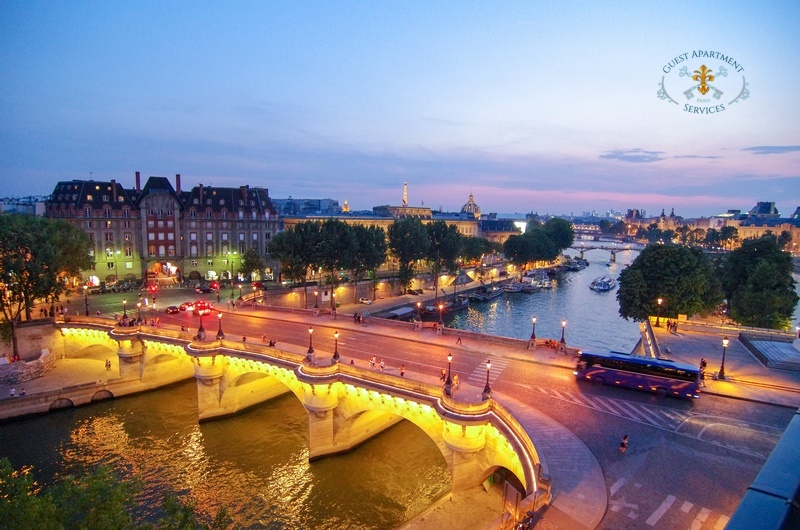 The outstanding view of the Pont Neuf and the Left Bank is an invitation for fine candlelight dinners. 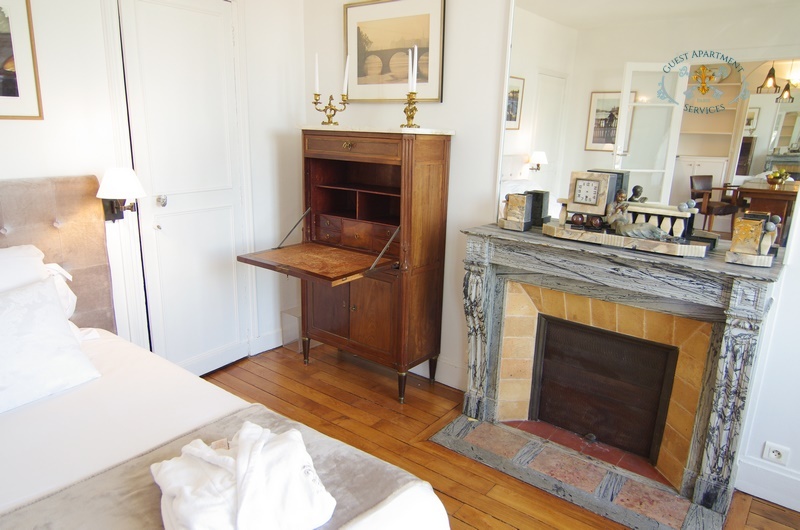 The general ambience is inspired Art Deco with an elegant wrought iron “serviteur” and a lithography “Belle époque”. The dining set offers an Art Deco style wooden table with 2 matching armchairs. 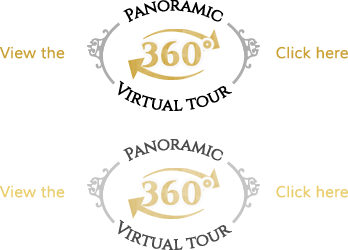 • A double glass door opens to the bedroom that features a queen size bed convertible in twin beds, adorned by night tables and two lamps on each side of the bed. 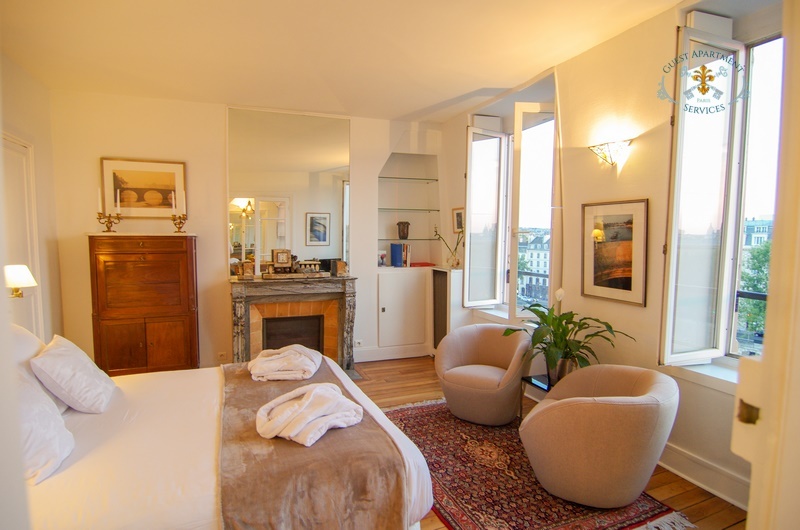 Two large windows open to the River flowing below, the Left Bank and the Pont Neuf. The masterpiece is a carved decorative marble chimney adorned by a large mirror. Near the windows the reception space is organized with two comfortable armchairs. The TV is next the first window. 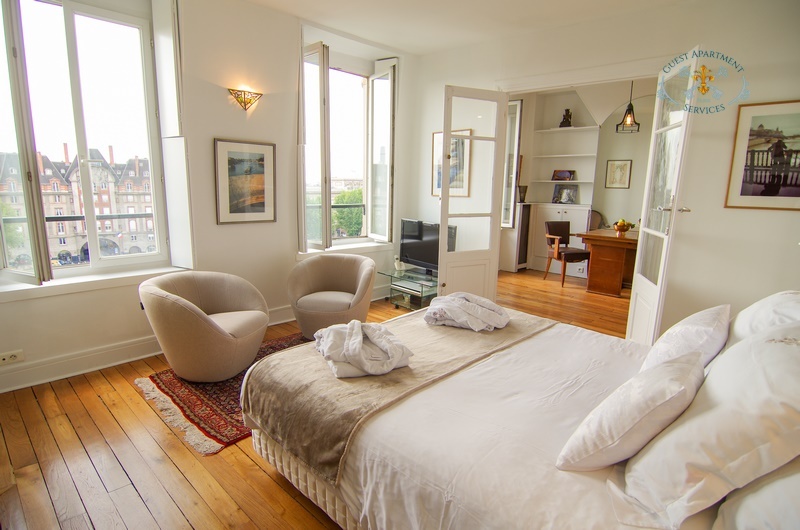 • All three windows facing the river are equipped with inside wooden shutters that can be closed partially or entirely. 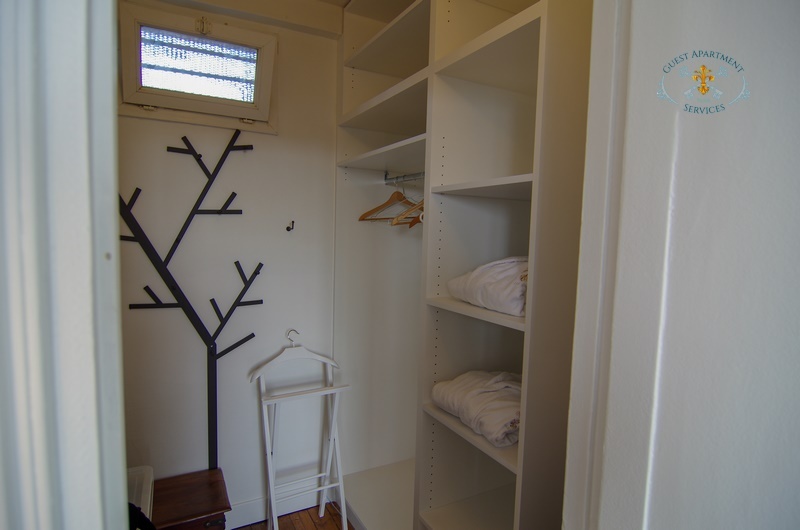 • A separate spacious dressing room will store your personal clothes & suitcases. 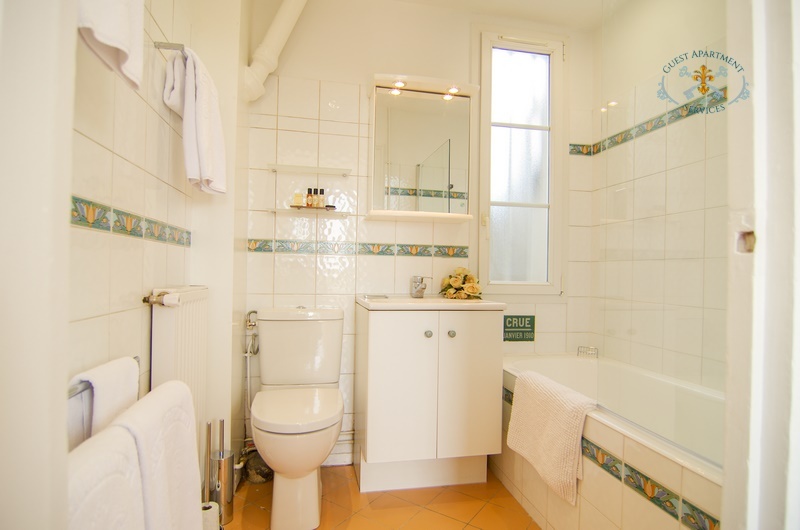 • Accessible from the bedroom, one enter into the white tiled full bathroom. It includes a bathtub with shower fixture and glass protection, wash basin, toiletries, lit mirror & the WC. A hair dryer is also available. 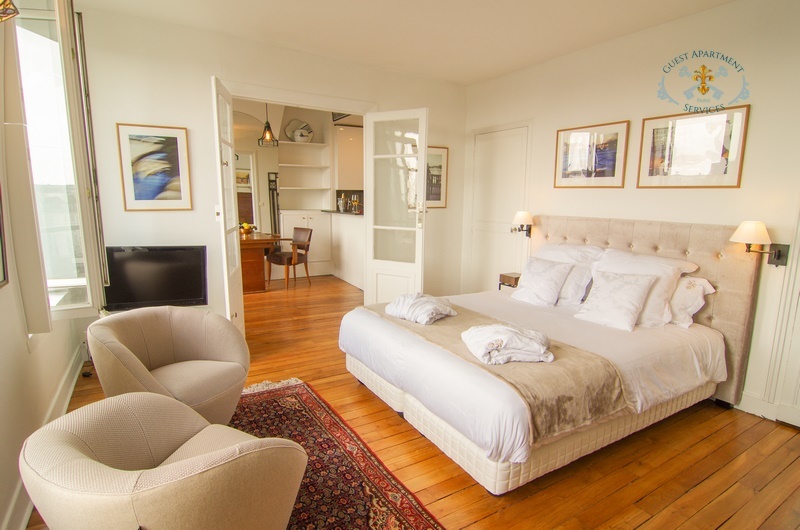 • Other main electrical appliances for your convenience: Cable TV (with the main international channels), private telephone line with answering machine. 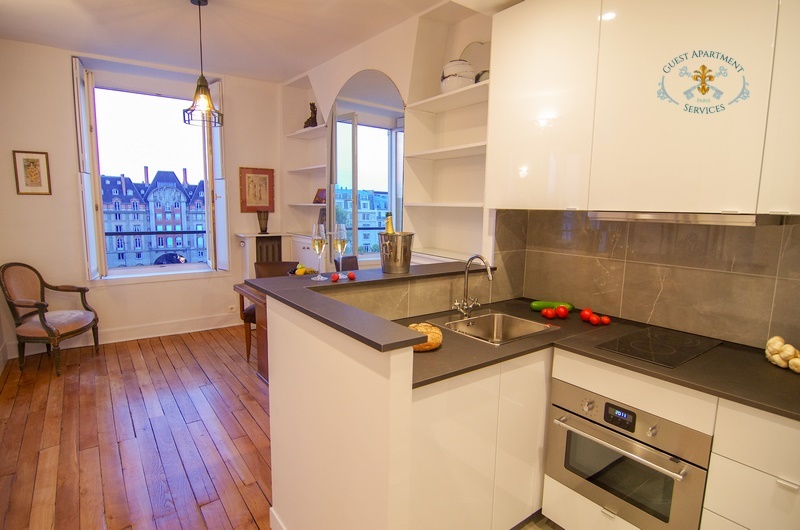 • New WIFI High Speed internet with the same unlimited free connection as in all our Paris apartment rentals. • In addition there is an intercom device for your own security and privacy. This is a non-smoking apartment. For sanitary reason, pets are not allowed. 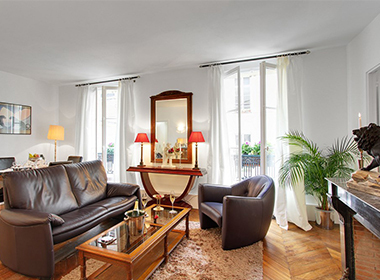 A charming Pied à terre on Ile Saint Louis.